In keeping with my summer theme for the week, I’m sharing with you this delicious, light and very summer appropriate meal. It’s full of herbs, citrus and lightly seasoned. Summer time is for that bikini and this meal will most definitely help your waistline. Check it out below & let me know what you think. 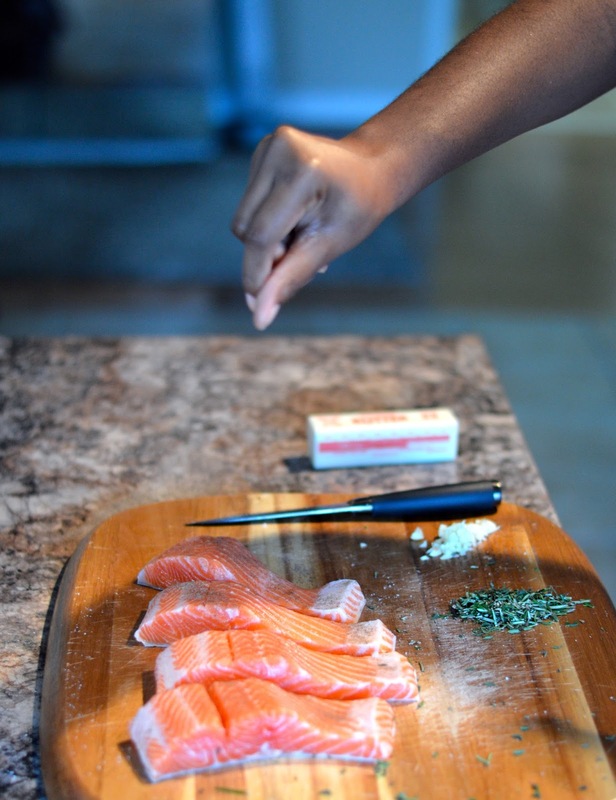 Clean salmon and season to taste with salt and pepper; set aside. Next, sautee onions, garlic and herbs in butter. Once soft (after about 5 minutes) remove from pan and set aside. Add olive oil to pan and sear salmon on both sides until cooked through. Once cooked through, clean pan and add back onions, garlic and herbs. Add salmon back to the pan with the herb mixture and squeeze lemon and orange over salmon. Cover pan and let simmer on medium low for 10-15 minutes. What did you think of the recipe? Let me know below!